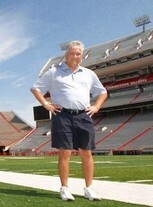 Former sports photographer/producer for the ABC affiliate in Omaha, Nebraska. I graduated from the University of Nebraska with a degree in Journalism and worked in the sports department of the ABC affiliate in Omaha for close to 20 years. Was lucky enough to be able to cover the Olympics, the World Series, and The Masters among other events. Was on the National Board of the television union (AFTRA) for several years as well. Am retired now. Whenever someone asks where I went to high school I am very proud to say that I went to Oak Park River Forest. Even way out here in Nebraska a lot of people have heard of our school! I took Drivers Ed over the summer of 1976 and had Coach Slack as my instructor. The first day of class Coach Slack called me to the front of the room and announced that I didn't have a girlfriend and would any girl go out on a mercy date with me. I about died of embarrassment but it was all in good fun and I think about Coach Slack often. Coach Brooks, Coach Slack, Coach Gummerson, Mr. Lennie. I really enjoy golfing and during the summer I take every chance to get out there. Because of my job I was lucky enough to play a lot of famous courses from coast to coast. If your life had a soundtrack, what songs would be on it? I would say most of them would be the songs that were popular during high school. Wasnt it "Saturday Nights Alright For Fighting" that was the big song that the Pom Pom squad danced to? Oh, and disco rules! "This is the last ball you've got in the bag Roy. You get this wet and we're disqualified." Playing Augusta National and Pebble Beach. Going to Europe. A black 1984 "Smokey and the Bandit" Firebird. Bob Horder has left an In Memory comment for his Profile. I was on that team with John and Wally. He was tough...he would run you over...but then help you up. Rest in peace my teammate. 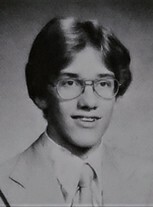 Bob Horder changed his "Then" picture. Bob Horder changed his "Now" picture. Bob Horder added a comment on his Profile. New comment added. Current picture of my family. Bob Horder has a birthday today. 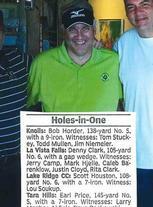 Bob Horder updated his profile. View. Bob Horder has left an In Memory comment for Pete Schilke. 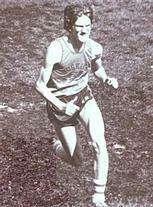 I spent a lot of time pounding the pavement training for cross country with Pete. He put up with the stupid Monty Python routines I would be spitting out while we ran. He was an extremely intelligent guy who still was a ton of fun when we did our antics on the weekends. Pete, I will never forget you. Rest in peace. Bob Horder has left an In Memory comment for Matthew Czekanski. Chip.... I still think about you often. Running track together with Beran, Lane, and the boys. The parties that you were nice enough to drive me to since I had no car. Playing in that church basketball league where there were no rules but plenty of black eyes. Visiting me when I got sick our senior year....bringing my books to me. I should have been there for ya man...if I told you once I told you a hundred times to be careful in that car. It was the night before my first class at Nebraska and it devastated me when I heard the news. I just wanted one more chance to say goodbye. I will see you again someday buddy....save my seat upstairs like you always did in the South Cafeteria. Bob Horder has left an In Memory comment for Renee Harsh. I always thought that Renee was one of the prettiest girls in our class...and she was as polite and approachable as she was beautiful. Hearing of her passing has brought back some good memories of a pretty lady. She will never be forgotten by those of us that were fortunate enough to cross paths with her...rest in peace Renee. Bob Horder changed his profile picture.